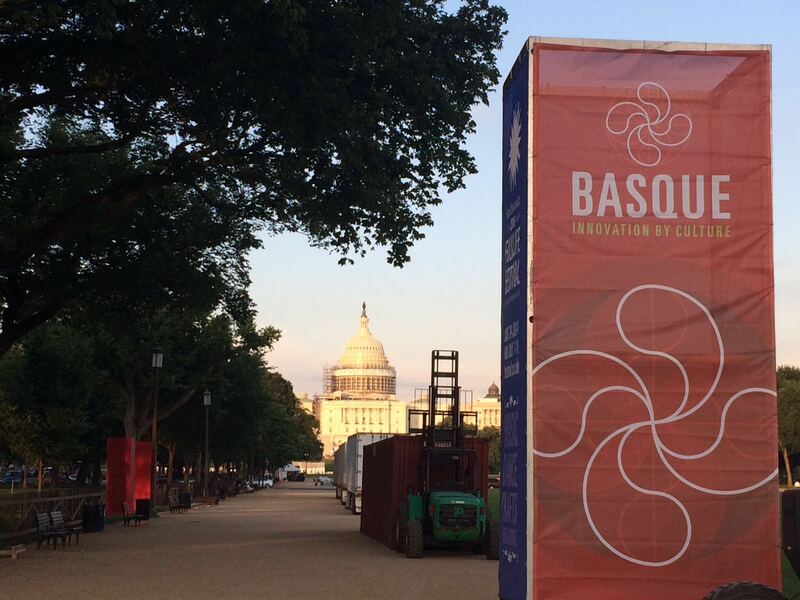 When the Smithsonian Folklife Festival begins June 29 in Washington, D.C., it will be the biggest stage Basques have ever had in the United States. Their exhibit – which involves construction of a playable fronton, the rebuilding of a whaling boat, and about 400 performers and presenters from Zuberoa (province of the Northern Basque territory) to California – will spread over 12,000 square meters on the National Mall, a massive park in the center of D.C. and the site of the city’s iconic buildings and monuments. On one end is the Lincoln Memorial, where in 1939 the black opera singer Marian Anderson gave her legendary concert because she couldn’t perform in the city’s segregated theaters. On the other end, more than three kilometers away, is the United States Capitol, which will be in the background when Kepa Junkera performs on the Festival’s opening night. The idea for the National Mall came from a 1791 plan by Pierre L’Enfant, an eccentric Parisian architect and civil engineer who left France to join the rebels in the American Revolutionary War, a decision he may have regretted as he shivered in the icy winds of Valley Forge with the rest of the miserable lot. But they ended up winning, and after independence, George Washington rewarded L’Enfant with an appointment to design a blueprint for the new capital city. The District of Columbia was barely more than a series of stinky swamps and sewers that overflowed during the torrential summer rains, a place where the mosquitoes feasted like royalty and the pigs rolled in the streets. L’Enfant saw beyond the desolation and imagined an elegant city rivaling Paris and Rome, created a plan of wide boulevards and marble buildings surrounding a “grand avenue” that extended from what would become the Capitol Building and the White House. L’Enfant was a visionary, a genius, but also a burro who refused to bow to the opinions of the wigged elite, and Washington eventually fired him. Still, his plan became the basis for modern D.C., and the avenue he envisioned became the Mall and the center of the city’s life. The Capitol and the White House have the political power, and K Street’s lobbyists have the money, but the Mall is really what makes Washington, D.C. the nation’s capital. Many describe it as America’s front yard. That’s a good description, since from the beginning it’s been accessible to hundreds of millions who have done everything on its exhausted grass from marching for women’s suffrage to attending presidential inaugurations to playing marathon cricket matches. But I also think of the Mall as America’s photo album. It’s surrounded by memories. If you had no time or endurance limits, you could see most of America’s history in a single day: the National Museum of the American Indian; the Smithsonian natural and American history museums; the National Gallery of Art; the Washington Monument; the Martin Luther King, Jr. Memorial; and the transformative Vietnam War Memorial, just to name a few. The Mall has become a place where almost everybody has a connection. When I visit the Korean War Monument and see the stainless steel soldiers in rain gear, I remember my Dad. That’s why the Mall is a perfect place for Americans to get to know Basques. For two weeks surrounding U.S. Independence Day on July 4, Basques will occupy some of the most valuable land in Washington, D.C., maybe the country, between Fourth and Seventh Streets and Madison and Jefferson Drives, bordered by the National Gallery of Art and the Smithsonian’s National Air and Space Museum, one of the most visited museums in the world, where you can run your fingers on a Moon rock brought back to Earth by the Apollo 17 astronauts. The Mall is also perfect because it’s where people with big imaginations and aspirations have gone since the beginning: Pierre L’Enfant; Martin Luther King, Jr.; Marian Anderson; the makers of the 54-ton AIDS memorial quilt; the thousands of bikers of Roaring Thunder; the people who abandoned their wheelchairs and crawled up the Capitol steps to lobby for a civil rights law for the disabled; and Metallica, who along with Bruce Springsteen and others played a titanic concert for veterans returning from the wars. Basques will fit right in. Like the Chinese, Peruvians, and others who have preceded them at the Folklife Festival over the years, Basques will show what makes them one of the world’s great, lasting cultures. For children who had to evacuate after the bombing of Gernika; for parents who sacrificed security to send kids to Basque-language schools when it was illegal; for young women who worked in boarding houses thousands of miles from homes they’d never see again; for Basque cattle ranchers who faced lifelong solitude in the Argentine pampas; and for many others, the exhibit at the Smithsonian Folklife Festival is a triumph. It’s also a triumph for the Basque Government and provincial governments. In fewer than 40 years they’ve evolved from having no power, or not existing at all, to sponsoring a world-class, international event attended by hundreds of thousands. 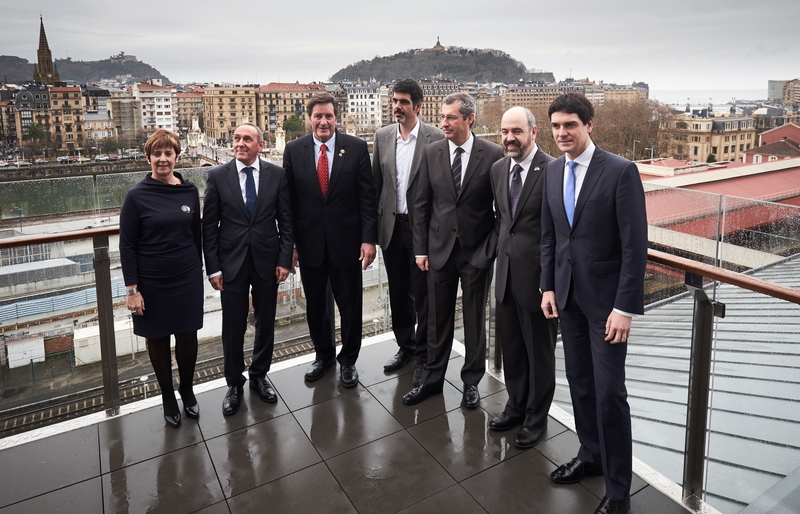 It’s hard to predict what the long-term effects of the exhibit will be, but simply doing it is an achievement: It’s the first time all seven provinces have collaborated on an effort overseas, so while Basques are displaying their past, they’re also exploring what things might look like for years to come. 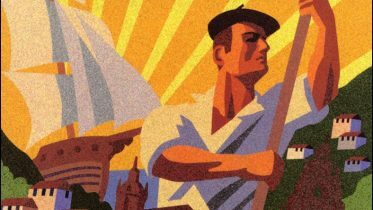 1 Comment on "The Smithsonian Folklife Festival: Another Voyage in Basques’ New Age of Exploration"
Eskerrik asko Mark, Good reading material for time on the plane and to have as reference history. See you in DC!